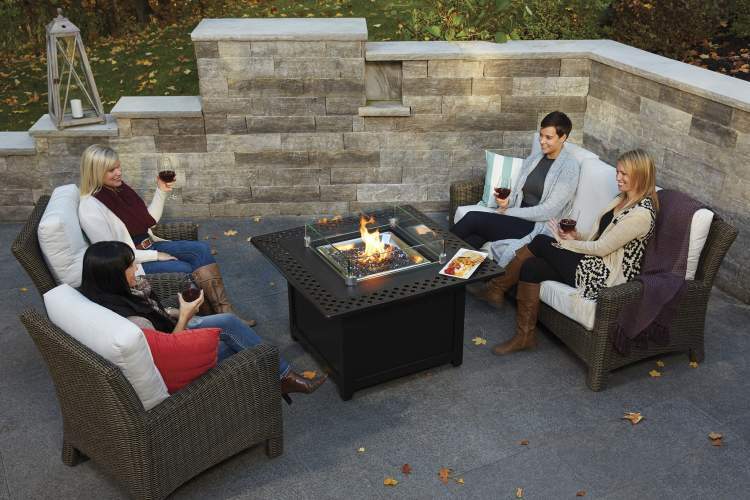 Gather around with your family and friends beside the warm radiant heat of Napoleon’s Kensington outdoor gas Patioflame table series. The Kensington Series is constructed of hand-crafted cast aluminum for lightweight mobility and corrosion resistance. The rustic bronze finish and ornate details provide a feeling of imperial luxury in your own backyard. Each model features a topaz glass ember bed for beautiful flame reflections and colored glass is available for further customization. A single panel door provides easy access to a propane tank and a natural gas conversion kit is included for your convenience. 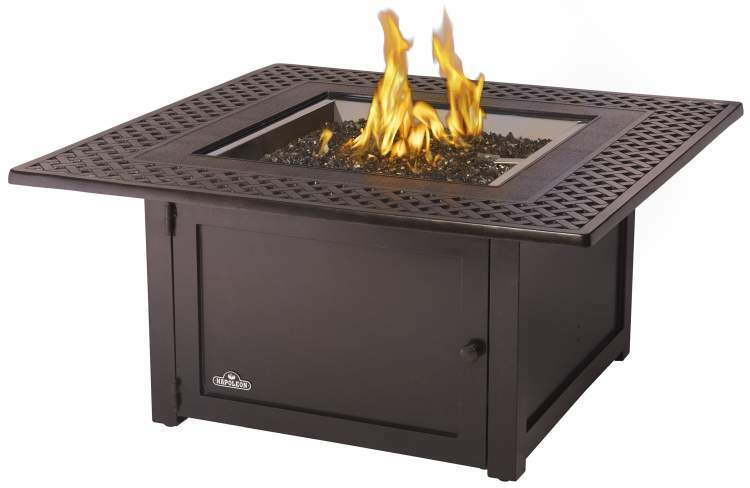 Comes complete with matching burner cover to transform your fire table into a functional table for all your entertaining needs.